Poll: What Is Your Biggest Job Search Problem? 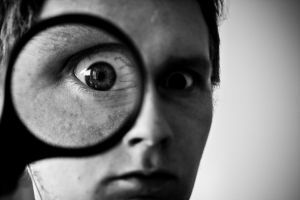 Have you been taking a critical eye to your job search recently? It's well known that the first step to solving a problem is to recognize it, but recognizing problems isn't always easy. Sometimes it takes a friend, a job search coach or better yet, someone directly related to the job search problem, to point it out to you before you can recognize it for what it is. When I was a sophomore at McGill University in Montreal, I had a required class on advanced calculus. And yes, it was even less exciting than it sounds. As the final exam neared, I was stuck cramming studying some concepts that I just couldn't seem to fully grasp, so I decided to take advantage of my professor's office hours and see if he could clear things up for me directly. I hadn't missed any of his classes towards the end of the semester and my notes seemed good so I wasn't sure how much more he could help, but I figured it was worth a shot. After trekking over an hour on public transportation across the city, I walked in to the dedicated open study room only to find out that my professor hadn't come in that day. Great. However, there was one other professor teaching the same course and he was in the open study room when I arrived. He offered to help in place of my professor, so I sat down beside him and started explaining what I couldn't explain. After letting me talk for a few minutes, he just said “ok, so you're trying to do xyz? Well then, do x, then y, then z.” And my mind clicked, and it all became clear. I suddenly understood the ideas that were frustrating me. He didn't do much but what he did was all that I needed, and I went on to get high marks in the exam. Sometimes you just need to hear things expressed in a certain way to grasp them, and sometimes it's the way they were originally expressed that was throwing you off. Take a few minutes to think about your job search. One exercise I like is to go over recent job search adventures out loud, step by step, even if I'm just talking to myself. It's a good way to notice things you may have missed as they were happening. Do you notice any patterns in the results? For example, have completely different people been giving you similar comments or tips on how to move forward? Use the comments to give more details about your choice and tell your story, especially if you're having trouble recognizing your main job search problem. The poll closes Monday June 8th, and we can discuss the results afterwards. Subscribe to JobMob via RSS or email and follow me on Twitter for more community solutions to your job search problems. I think for a lot of people its just managing the process. I found a great little book called the Power of Small (Linda Kaplan Thaler and Robin Koval) that has some great tips on this. Like- break your to do list down into “minitasks” that u can actually accomplish in one day. Finding what companies are really hiring is the biggest challenge for job seekers. That’s why I started the blogs ChowJOBS.com and ChowJOBS-losangeles.com – to list jobs from actual companies. Let’s face it most jobs you’ll be responding to at traditional job boards come from recruiters.